Here’s what’s up in the world of TV for Sunday, June 25. All times are Eastern. 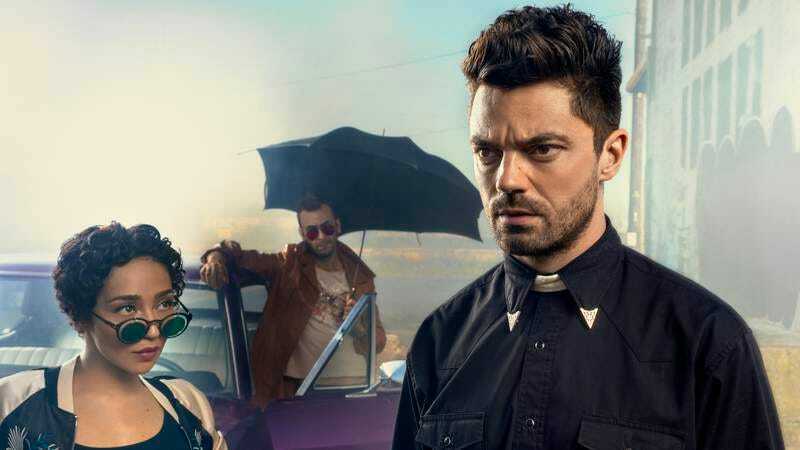 Preacher (AMC, 10 p.m.): The bloodiest religious show you can imagine returns to AMC tonight, as Dominic Cooper’s Preacher continues his search for God, aided by his equally violent ex Tulip (Ruth Negga) and Irish vampire Cassidy (Joseph Gilgun). Meanwhile, the team is being chased by what is described as “a beast from Hell.” Since Zack Handlen described Preacher’s first season as “far from a disaster. It was often hilarious, occasionally astonishing, and sometimes surprisingly sweet… It’s a work in progress, and there’s a lot of open road ahead,” we can only imagine that he is all set to join this unconventional spiritual road trip again. This is actually a special presentation of the premiere, as Preacher will move to Monday nights beginning with episode two. Silicon Valley (HBO, 10 p.m.) We say goodbye to the show’s one-step-forward, two-steps-back fourth season and possibly Erlich Bachman forever. Les Chappell is already sad. Veep (HBO, 10:30 p.m.) This latest Veep season appears to have both champions and dissenters, but Kate Kulzick has been on the pro side, saying that last week’s episode has impressively set up this week’s finale. Prime Suspect 1973 (PBS, 10 p.m.): The fans of PBS’ Prime Suspect series starring Dame Helen Mirren are legion, and they should all eat this new series right up. It’s a three-part prequel to the original series, starring Stefanie Martini as our fave detective Jane Tennison. What was she like in her first days on the force? And when did she start smoking so much? It’s all here in this pristine 1973 period piece, perfect for your summer mystery needs, as young rookie Tennison tries to nab a serial killer while dealing with London’s drug epidemic and a sexist police force.